Transformational change is the most radical form of organizational change. It does not merely involve the introduction of new systems and structures; it requires an upheaval of existing ones. All processes need to be reviewed and re-evaluated, from governance structures to budgeting cycles. Likewise, transformation by its very nature disrupts people in an organization, often greatly impacting their behaviors and attitudes. Significant basic technological transformation is already present and integrated within today’s healthcare in the form of telehealth, electronic medical records (EMRs) and automatic electrocardiogram (EKG) analysis, to name just a few. These and other advanced technologies are already playing a role in supporting providers and patients. There are already machine-learning systems at work, and rudimentary artificial intelligence (AI) is just around the corner. We often hear the reassuring words that “AI will likely never replace doctors or nurses”; however, technological progress in virtually every industry routinely leads to increased efficiencies at the cost of human replacement in the workforce. We are already seeing the impact of AI in other industries. For example, in the United States, autonomous cargo trucks will soon play a major role in industry, replacing many (if not most) human drivers in the coming years. In healthcare, we must expect that technological advancements will alter the labor force, at least for those in some mid- and lower-level hospital positions. 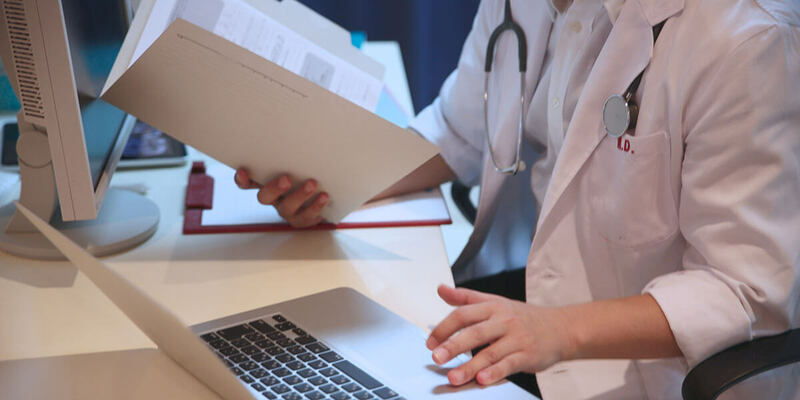 We must accept and be honest in recognizing and discussing that the exciting technological changes on the immediate healthcare horizon will likely negatively impact some of today’s traditional healthcare workforce. While there are regional and local differences, among the most common universal failures in implementing systematic technological transformation is when the process is owned by the information technology (IT) Team rather than by the clinical team supported by or in partnership with IT. Healthcare IT has customers: physicians, nurses and other providers. It is these clinical caregivers who must own and drive the transformational process. An important tip that may at first appear counterintuitive is to engage one or more of the strongest and most vocal clinical opponents of the transformational strategy in the process. Do not do this simply “for show”; truly listen to their concerns and ask them to help you improve your strategy and implementation. In time, the majority of these initially negative clinicians will accept and even take pride in delivering a better transformational process – and result – to their colleagues. Also, remember that title alone (e.g., Department Chair) does not guarantee that a clinical leader is a true influencer. Do your research and identify the real clinical leaders, i.e., clinicians who influence others within the hospital. These individuals may be skeptical of your offer to play a meaningful role in the transformation, but with time and commitment to hearing and working with them, you can win them over and, in the process, better your strategy and implementation. Secondly, be open and honest about the challenges and potential negative impact of the change. Today’s standard EMR is a one-size-fits-all solution. However, in reality, such EMRs slow down the efficiency of many sub-specialty practices. There is no need to pretend that everything is going to be great. Be honest, and remind those who are skeptical that they are part of something greater than their own practice and that their assistance will benefit the system’s patients. Thirdly, it is important to communicate and demonstrate to the end user the personal value of using the system. It’s not enough to explain that the new system will achieve better outcomes; to many clinicians; that is expected and will not motivate them. You must answer the question they may never verbalize but which is at the top of clinician’s mind: “If I use the system, what will I get out of it?” In other words, “What is in it for me”? Lastly, provide real support before, during and after implementing change. The around-the-clock availability of support sends the message that you do care about their challenges and that you are invested in assisting your providers. Where does transformation commonly go awry? When those committed to the change back down in the face of aggressive resistance. When the response to the physician who emphatically states, “I won’t use the EMR” or “I am not going to use your order sets” is to give in. You cannot bluff; you must be ready to accept that some physicians may follow through on the threat to leave rather than participate, because once you step back and make compromises (“all right, you can write your orders on paper” or “you don’t have to use the EMR all the time”), you have lost. If you believe in the benefit of your strategy, have the courage to stand by your beliefs and keep moving forward. People who show resistance will soon realize that in just a few years, there will be no quality hospitals to work in that do not have advanced technology. As we enter the Fourth Industrial Revolution, healthcare is no longer solely about smart and connected machines and systems. According to a 2017 report from McKinsey commissioned by the Australian government, waves of digital innovation are accelerating, reaching scale faster than ever before and resulting in inevitable disruption. Such innovations are also creating new opportunities for those who are able to move quickly enough to take advantage of the disruptions. Healthcare is unique in that given the right strategy, implementation and legislative support, better healthcare can be achieved at a lower cost. Increasingly, proven healthcare digitization technologies (e.g., automation solutions) and simplification of existing processes (e.g., use of order sets) can help hospitals, healthcare systems and even nations transform healthcare value (quality/cost) – but only if the technology is founded in current, credible evidence-based knowledge and guidance. Capturing the opportunities before us and overcoming the challenges to successful value improvement will require significant cooperation between individual healthcare providers, non-clinical healthcare leaders, and governments. Currently, many governments are beginning to develop organizations that include these various stakeholders in the development of strategies and early implementation of technology transformation. But experience is thin, and success will likely follow many iterations when strategies fall short, which they initially will given the complexity of the healthcare itself. Patience, commitment and hard work are requisite for eventual success on our journey. The creation of a consistent, positive and common narrative that openly and honestly acknowledges the opportunities, disagreements and challenges inherent to major transformational change – in the uniquely personal world that is healthcare – is foundational to achieving consistent, sustainable, high-quality, cost-efficient care for us all.